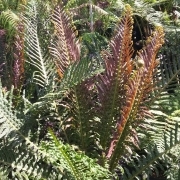 Raised by Graham Hutchins. 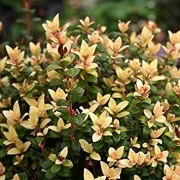 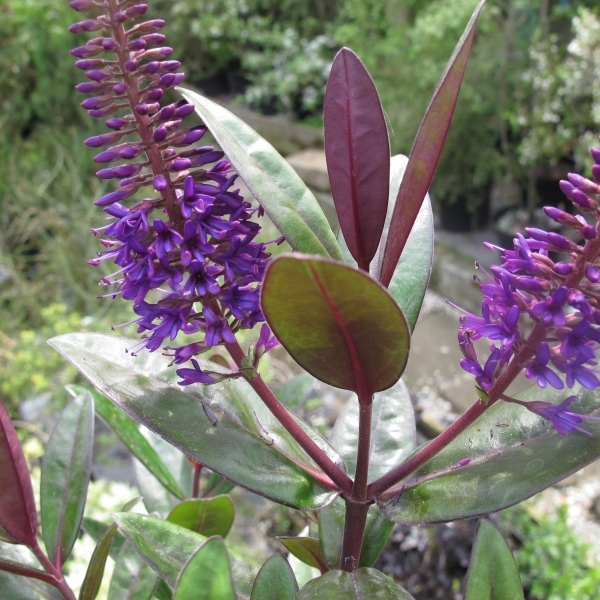 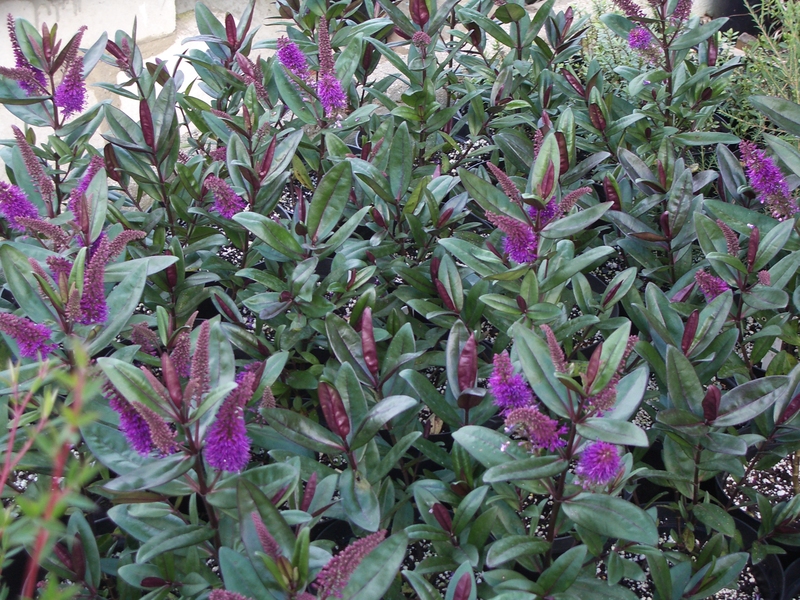 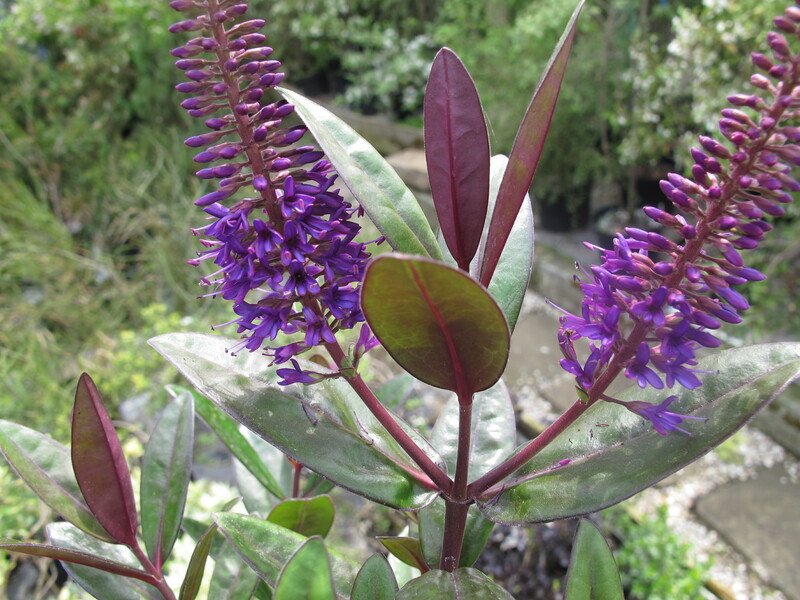 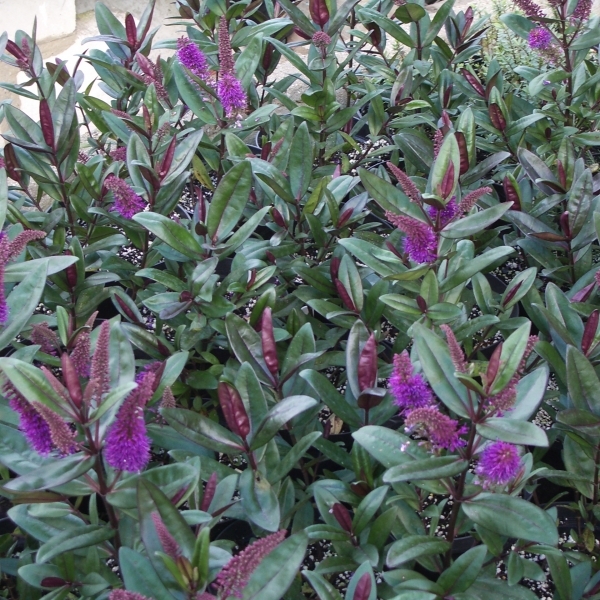 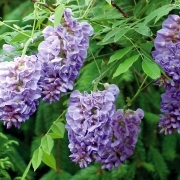 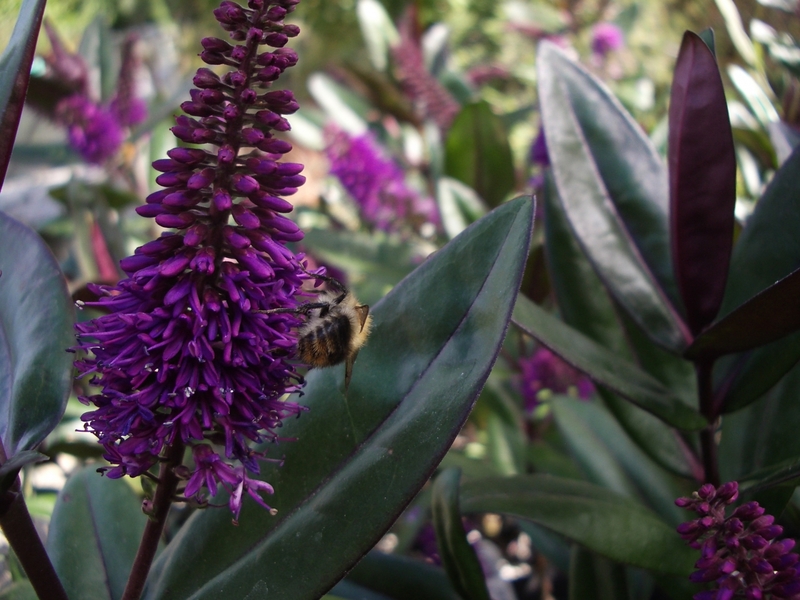 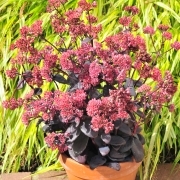 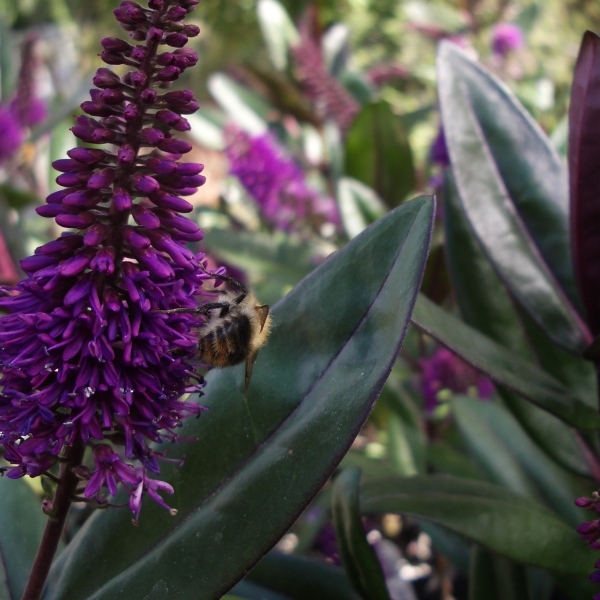 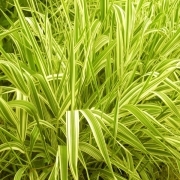 A strongly grown hardy Hebe with good contrast of the large leaves to intense violet flowers. 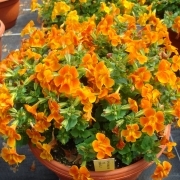 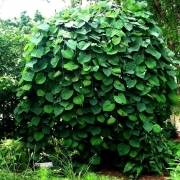 Good for specimin pots or mixed planting.